If you haven’t realized from my previous blogs, I’m a planner. Everything I do is premeditated, with backup plans for my backup plans. Well today that all went right out the window. Our diversion occurred first thing in the morning when I directed Cory to go the wrong way on 89A out of Flagstaff. And then I passed out. (These early mornings and long days are beginning to wear on us all.) We intended to go to the South Rim. 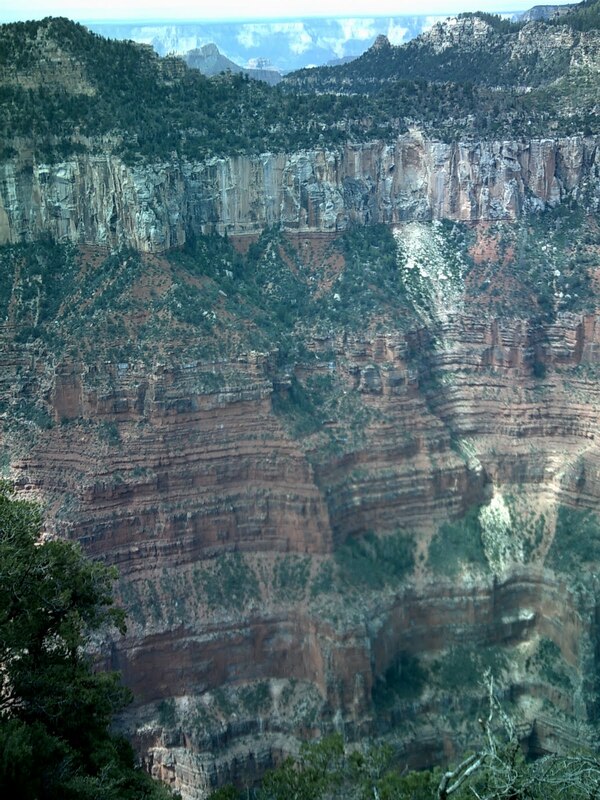 I woke up about an hour later, just before we passed a sign directing us to the North Rim. I immediately panicked. 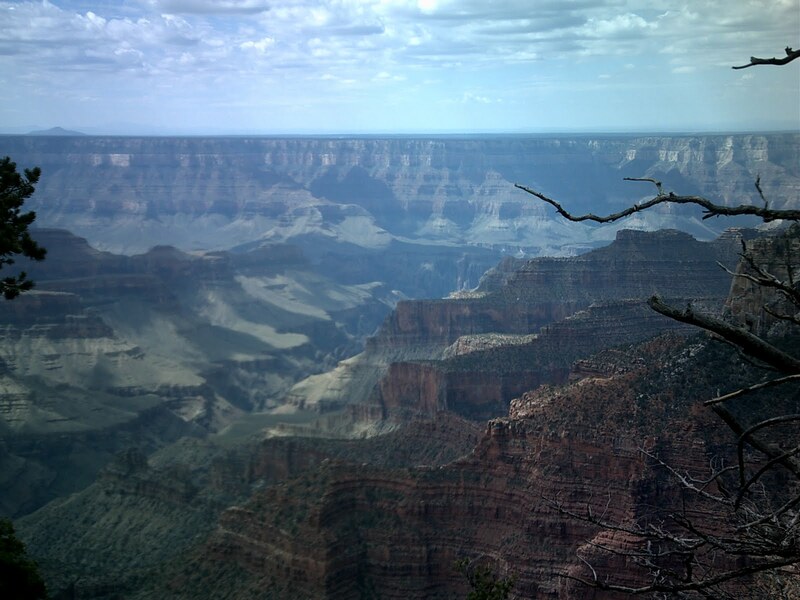 Cory and I have been to the South Rim a couple of times before, and it is mind-bogglingly beautiful. 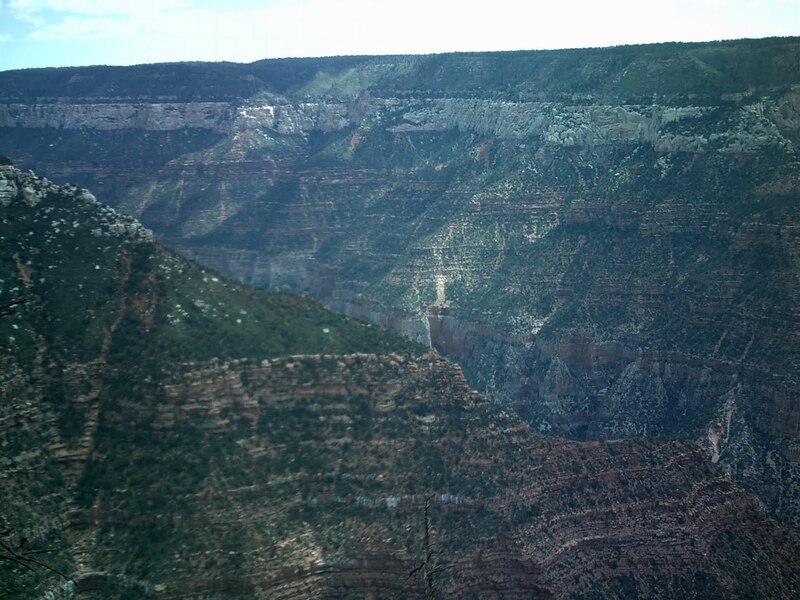 My mind has a difficult time processing the depth of the canyon, the distance it spans and just the sheer magnitude of the entire canyon. 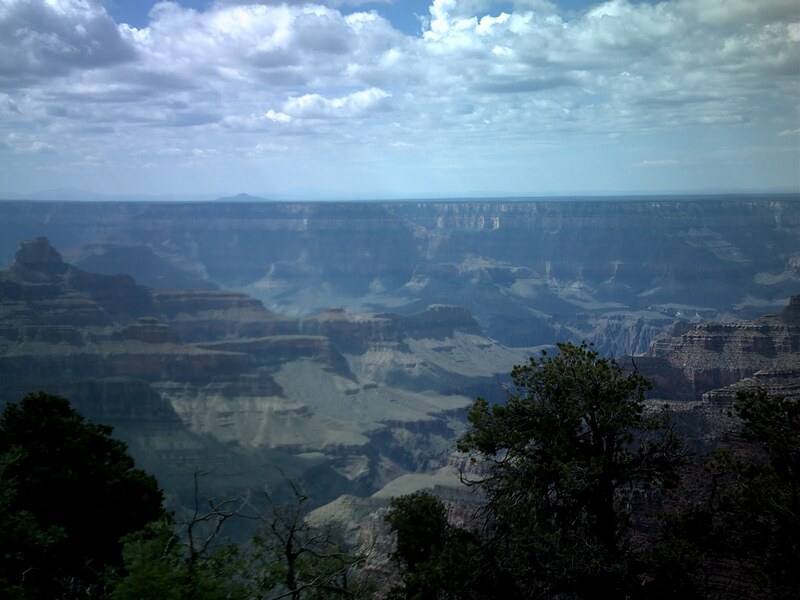 I knew what to expect at the South Rim, and I knew Amanda wouldn’t be disappointed there. 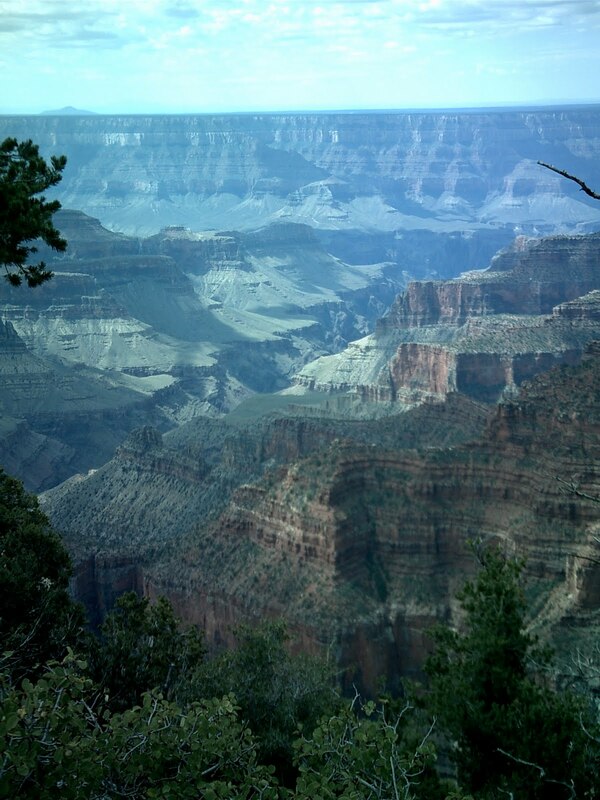 But by misdirecting us to the North Rim and then falling asleep before I realized my mistake, I was worried I had ruined the experience for us all. My worry was in vain. 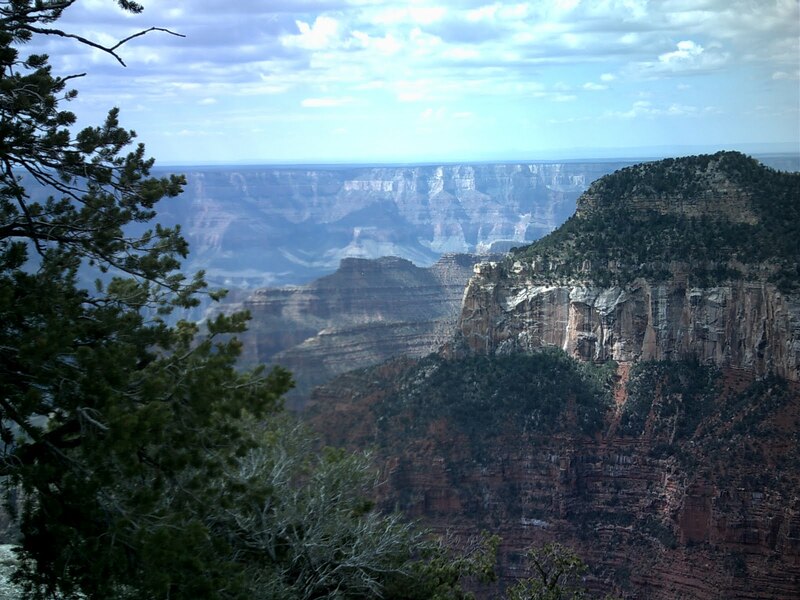 The North Rim is arguably more beautiful than the south. Geared more for hikers than your average tourists, the North Rim is considerably less crowded. The temperature was much cooler than the South Rim (I dehydrated at the South Rim once) and the landscape was much more green. 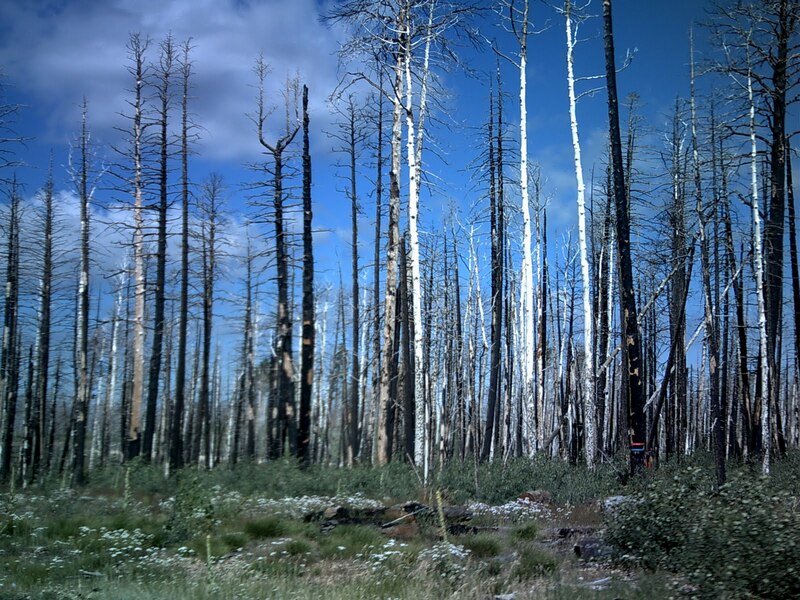 You pass through Kaibab National Forest on the way into the park and get to see the remnants of a forest fire and pass through a long meadow full of tiny purple, yellow and white flowers. There are no trams or trains or any transportation past trailheads; you’re hoofin’ it anywhere you want to go. The difficulty of the hiking trails vary greatly; there was something for the average person in flip-flops (me) all the way up to eight-hour hikes for the professional outdoorsperson. We took the Angel Fire Trail. We were all amazed by the canyons, and could have spent all day just sitting on a rock staring. But we have a reservation in Vegas waiting, so we couldn’t stay. 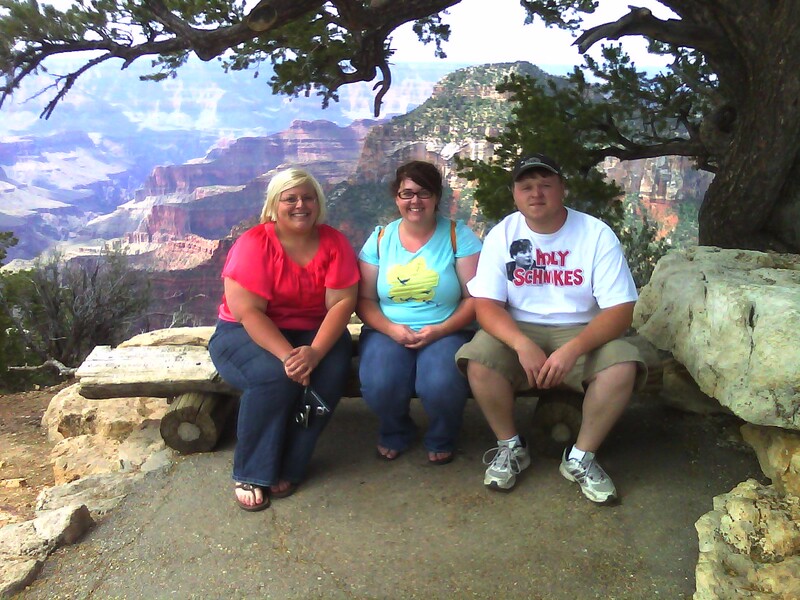 Sheila took us out of the Grand Canyon along 89A, then up into Utah to catch Highway 9. It turned out that Hwy. 9 runs through a corner of Zion National Park, a collection of mammoth rock formations on the Colorado Pueblo. We took the Zion-Mount Carmel Highway and had our minds blown as we snaked around the mountains of rock. Days like this remind me what this trip is all about. It was definitely not meant to plan every step of the way. It was meant to see, explore and go where the road takes us. The remnants of a fire.